interspersed with sporadic pulses of precipitation and resulting high freshwater inflow events. This work aims to gain a quantitative understanding of how changes in freshwater inflow influence the quality of estuarine POM. In estuaries, POM is the base of the food web, so understanding how floods and droughts influence POM quality ultimately informs our knowledge of the POM that is assimilated and incorporated into pelagic and benthic food webs. Hurricane Harvey made landfall as a category 4 hurricane 10 miles north of Port Aransas, TX. 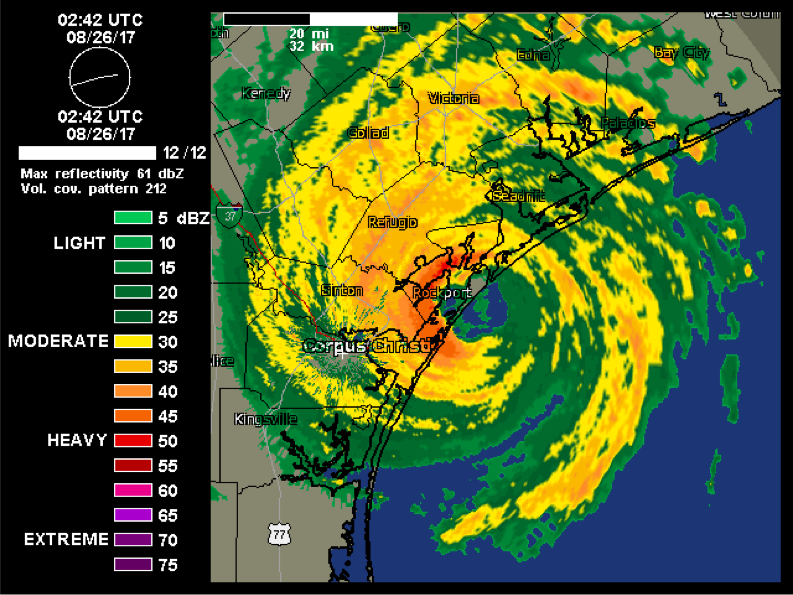 With wind gusts up to 132 mph, it tracked directly across the Mission-Aransas Estuary (MAE), located within the Mission Aransas National Estuarine Research Reserve. The extremely strong winds, powerful storm surge, and heavy floods likely had profound impacts on biogeochemical processes within the MAE. Our goal is to evaluate the impact of Hurricane Harvey on water and sediment geochemistry of the MAE over both short and long time frames. We have established a new LTER focusing on Arctic lagoon ecosystems, which experience extreme variability in seasonal cycles and are subject to rapid shifts driven by climate change. Our overarching question is: How do variations in terrestrial inputs, local production, and exchange between lagoon and ocean waters over seasonal, inter-annual, inter-decadal, and longer timeframes interact to control food web structure through effects on carbon and nitrogen cycling, microbial and metazoan community composition, and trophic linkages? Specifically, my lab will be involved in understanding how biogeochemical processes within the lagoons are linked to inputs of terrestrial organic matter, autochthonous production, and inorganic carbon and nitrogen cycling. 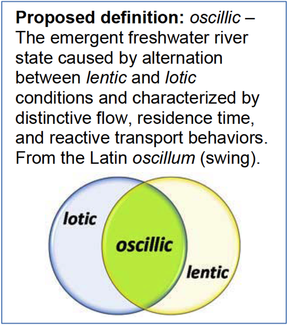 This NSF-funded project focuses on the "oscillic freshwater zone" (OFZ) where the river flow may slow, stop, or even reverse direction with the tide, but not an ounce of seawater is seen. We seek to define and investigate the OFZ as a unique section of a river that does not fit previous paradigms for rivers, lakes, or estuaries. The project will combine physics and chemistry in two Texas rivers (the Mission and Aransas Rivers) through field, lab, and modeling efforts. From a biogeochemical perspective, we plan to characterize what effect the OFZ has on nitrogen and organic matter entering coastal waters. The OFZ, by virtue of its extended residence time, is likely transforming and removing nitrogen and organic matter before it reaches the coastal ocean. The model developed through these efforts will be able to predict how future human and natural changes will affect these rivers and nutrient and carbon delivery to the coast. This project aims to understand sediment nitrogen cycling in the Hanna Shoal region of the Northeast Chukchi Sea, off the northern coast of Alaska, which has been identified as an area of significant biological importance. The research site has a very high abundance of benthic animals, making it a biological "hotspot" for this region. In summer 2013 we participated in a research cruise to the Hanna Shoal region with generous support from a grant awarded to Dr. Ken Dunton by the Bureau of Ocean Energy Management (BOEM). 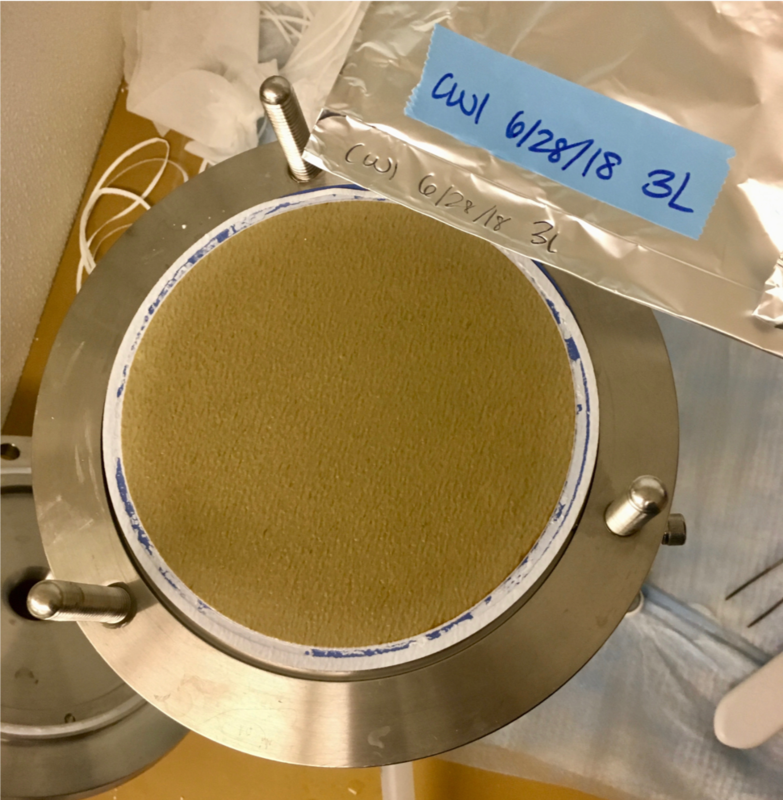 We conducted onboard sediment core incubations to measure detailed nitrogen cycling rates using stable isotope tracer (15-N) techniques. Our primary focus is to understand whether the sediments are a source of nitrogen (via DNRA, remineralization) for this productive system or as a removal site for nitrogen (via denitrification, anammox). This project looks at the role of anaerobic ammonium oxidation (anammox) and denitrification as pathways by which fixed N is removed via N2 gas from marine ecosystems. Because anammox was discovered relatively recently, the role of anammox in the global N budget is still poorly understood. We are linking measurements of anammox rates with estimates of anammox bacterial biomass under varying environmental conditions in both field and lab settings in order to better constrain the controls (e.g. nitrate, temperature, organic matter) on anammox in marine sediments. I combine measurements of ladderane lipids, which are specific to anammox bacteria, with anammox rates that are measured using a modified 15-N isotope pairing technique. This data will be incorporated into a quantitative biogeochemical model that will predict N flux through anammox and competing pathways based on key environmental drivers. Collaborators: Iris Anderson and Liz Canuel at the Virginia Institute of Marine Science, Craig Tobias at the University of Connecticut. This research explores the pathways of C and N in shallow photic systems, where benthic plants such as seagrass, macroalgae, and benthic microalgae (BMA) often dominate production and nutrient cycling. Research is lacking on the role of sediment microbes, (e.g. BMA, bacteria) in these systems due to methodological difficulties faced in studying microscopic organisms in sediments. To address this gap, my research focuses on quantifying microbial C and N uptake and retention using a dual stable isotope tracer (13-C, 15-N) and microbial biomarker approach. I also assess the influence of human activities by analyzing how microbial N and C processing changed in the presence of ephemeral, “nuisance” macroalgae, considered a symptom of eutrophication in coastal systems. An important aspect of this research is understanding the degree of coupling between sediment bacteria and BMA, which may serve as a nutrient sink.